Out of stock since Monday, 16 April 2018. Due back soon. 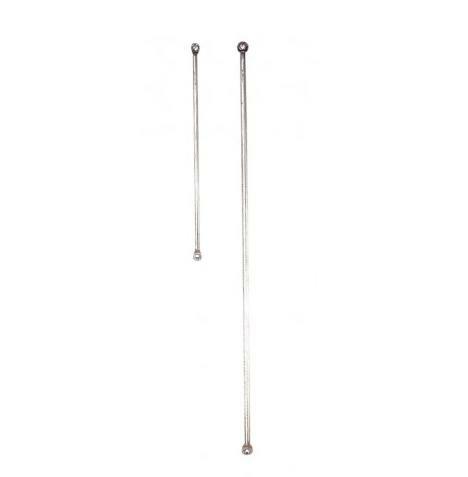 Stubbs Window Bars are solid rods with forged flat ends and countersunk screw holes, for window protection. Can be fitted on the wall above and below window or directly on frame. 50mm gap spacing is recommended. There are currently no questions for Stubbs Window Bars - be the first to ask one!